The Double-A Travelers are one win away from taking a trip to the Texas League Championship Series. Riding Joseph Odom's go-ahead solo home run in the ninth inning, Arkansas topped Tulsa, 4-3, on Friday at ONEOK Field to take a 2-1 lead in the best-of-5 semifinals. No. 17 Mariners prospect Eric Filia put the Travelers ahead with an RBI single in the opening frame, but the Drillers took a 2-1 lead in the fifth. 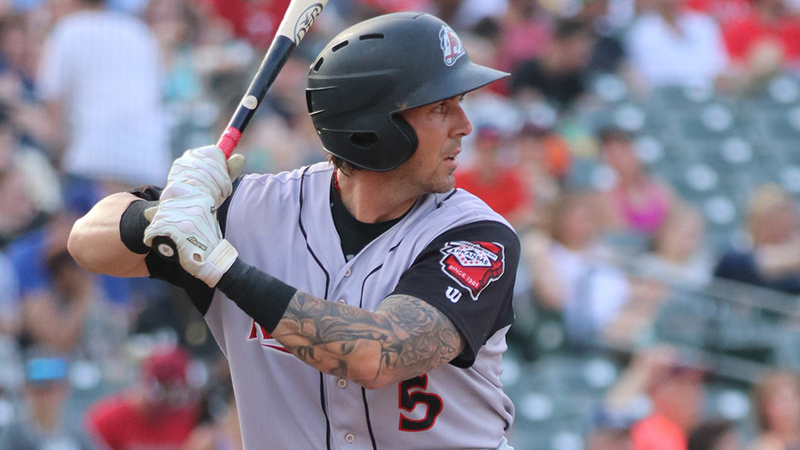 Beau Amaral delivered a two-out, two-run base knock in the seventh, but Cael Brockmeyer responded with a game-tying roundtripper for Tulsa in the eighth. Facing right-hander Layne Somsen with one out in the ninth, Odom fell behind, 1-2, before working the count full. He turned on the sixth pitch of the at-bat and hammered it over the wall in right field. Eighth-ranked Mariners prospect Matt Festa worked around a leadoff double in the ninth by retiring the next three hitters he faced, fanning No. 8 Dodgers prospect DJ Peters to end the game. Dustin May -- MLB.com's No. 78 overall prospect -- allowed one run on four hits with a walk over five innings for Tulsa. The right-hander struck out one. The Drillers host Game 4 at 8:05 p.m. ET on Saturday. Game 3 of the other semifinal series was suspended in the 11th inning due to rain, with the score knotted at 8-8. It will be resumed at 1 p.m. ET on Saturday. The Hooks lead the series, 2-0. Game 4, if necessary, will begin 30 minutes after the conclusion of Game 3.